SERVICES - Lake Erie Behavioral, LLC. Before we know which treatment will be the most effective, we must understand the patient and his or her story. Effective treatment depends on making a correct diagnosis. To reach this point, Dr. Heron begins with a comprehensive psychiatric evaluation conducted from a medical perspective, while taking into consideration all of the other unique variables at play in a person’s life. Many factors interact to affect feelings, mood, thinking, and behavior: genetics and biology, personality, medical history, life experiences, family relationships, and current circumstances. During the session, you will be asked about various aspects of your life – your interests, hobbies, how you function at home, with family and friends, at school or work, as well as your sleep and eating habits. If needed, laboratory, psychological, and/or educational testing will be ordered. 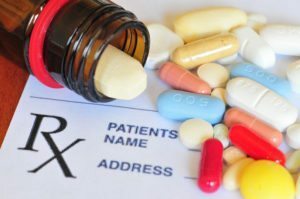 The decision of whether or not to prescribe psychiatric medication is a very significant one. 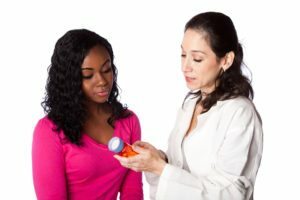 There are many misconceptions about psychiatric medications, especially for those prescribed to children and adolescents. Dr. Heron makes communication and education the cornerstone of her practice. She will work diligently to educate patients and their families about their problems or any diagnosed illness, and she will explain any questions and concerns that may arise. Medications may be prescribed if indicated, but they are only one element of a treatment plan and are not used in all cases. Dr. Heron is conservative and deliberate in her approach to medication management of psychiatric illness, and she will commonly incorporate psychotherapy and non-medication, alternative options to tailor a treatment plan for each individual patient. 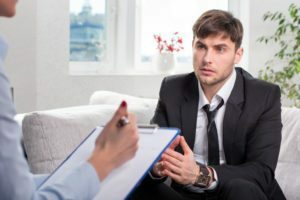 Psychotherapy -- also called "talk therapy" or just plain therapy -- is a process whereby psychological problems are treated through communication and relationship factors between an individual and a trained mental health professional. Dr. Heron treats adolescents in a collaborative fashion, which typically will involve family members, pediatricians, counselors, and school staff. Dr. Heron is passionate about treating mental health conditions in older adults. 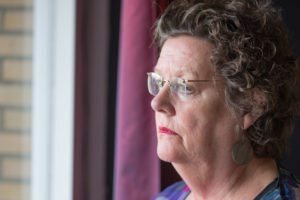 Depression, anxiety, and other mental health problems may present differently as people age, and they can contribute to the worsening of other medical conditions, including heart disease, cancer, and memory impairment. Dr. Heron’s expertise as a psychiatrist gives her the clinical perspective to determine if a patient’s coexisting medical conditions and medications are contributing to a mental health problem. Dr. Heron is conservative with the use of psychiatric medication in older adults, because the aging process changes the manner in which medications are processed by the body. 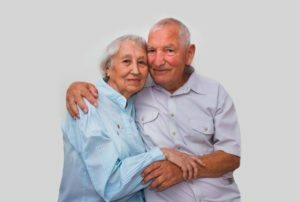 In addition, Dr. Heron is trained to address the unique challenges posed by treatment of mental health problems and agitation in people with memory impairment. Many patients suffering from a mental illness also have coexisting problems with alcohol and/or drugs. Successful treatment for illnesses such as depression, anxiety, and psychosis depend on dual treatment for a contributing substance use disorder. 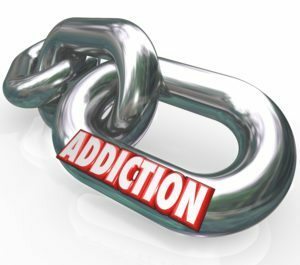 Dr. Heron is skilled in the treatment of various substance use disorders, whether or not there is a comorbid psychiatric diagnosis. In addition, she specializes in the multidisciplinary treatment of behavioral addictions, like pathological gambling. Dr. Heron is licensed by the Drug Enforcement Administration to prescribe buprenorphine products, including Suboxone, for outpatient opiate detoxification. 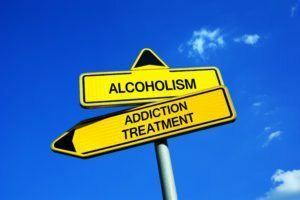 This is a treatment option that is reserved for highly motivated and carefully screened patients as part of a comprehensive addiction treatment program. Please call the office to speak with Dr. Heron if you feel you are a candidate for this treatment. Children with ADHD show inattention, distractibility, hyperactivity, and impulsivity more frequently and severely than children of the same age or developmental level. ADHD occurs in 3-5% of school age children and can run in families. 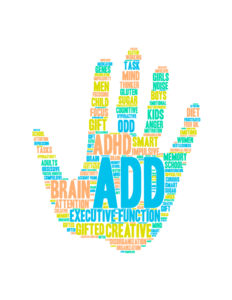 A child with ADHD may also have other psychiatric disorders such as conduct disorder, anxiety, depression, bipolar disorder or learning disabilities. Depression is a widespread mental illness that causes intense feelings of sadness, hopelessness, and personal emptiness. It can be brought on by stress, regret, trauma, loss, or even a genetic predisposition to developing the disease. Basic functions (sleep, attention, appetite, energy) can be so impaired that daily life activities become painful to tolerate. Like adults, children and teenagers can have depression. About 5 percent of children and adolescents suffer from depression, but the behavior of depressed children and teenagers may differ from the behavior of depressed adults. The child and teenager may complain of boredom, become very irritable, or complain of frequent headaches and stomachaches. Depressed adolescents may abuse alcohol or other drugs to cope with their feelings. 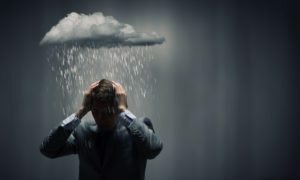 Fortunately, depression can be successfully treated with a combination of treatments, including medication and therapy. If you suspect that you may have the symptoms of depression, it is important to seek help immediately. Psychiatric therapies and certain anti-depressant medications may be effective for helping you manage your symptoms. Furthermore, certain dietary and lifestyle changes, such as exercise and better sleep habits, may prevent depression and help you find relief from symptoms. Anxiety disorders are common and often accompany depression in adults. It manifests itself as repeated worries and concerns about the future. If untreated, anxiety disorders can lead to, or worsen existing depression. Children and teenagers may express anxiety in a variety of ways: through physical complaints, such as headaches and upset stomach; irritability and tantrums; or by becoming “clingy” or refusing to go to school. Forms of anxiety include phobias, separation anxiety, social phobia, and post traumatic stress disorder (PTSD). that anxiety is the most common mental illness in America? According to the Anxiety and Depression Association of America, anxiety affects 18 percent of the adult population in the U.S. However, of the 40 million adults over age 18 suffering with anxiety, only about 13 million are actively seeking treatment or being treated for the disorder. 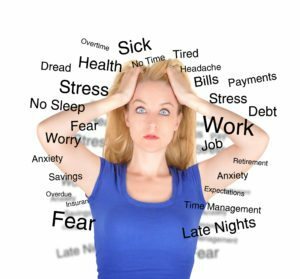 GAD (Generalized Anxiety Disorder) – a condition that is conducive to ever-present stress or worry about day-to-day responsibilities, confrontations and problems. GAD is most common among women, and symptoms may include headaches, problems sleeping, difficulty breathing and irritability. PTSD (Post-Traumatic Stress Disorder) – a condition that occurs as the result of a traumatic event that involves physical harm. Often, PTSD affects individuals who were previously victimized in an auto accident or crime, or who witnessed harm to another person, such as during warfare. PTSD often presents in the form of flashbacks or nightmares, although some victims become violent, emotionally distant or suspicious of the intentions of others. OCD (Obsessive Compulsive Disorder) – a condition that compels a patient into compulsive or obsessive behaviors without rationality. 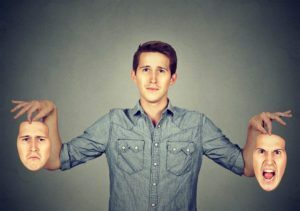 Individuals who suffer from OCD may have certain rituals or superstitions that cause disruption to daily life or relationships. Phobias – a condition diagnosed due to a deeply concentrated fear of particular places, activities, people or objects. Phobias can incite panic, dread, and trepidation in sufferers, and it can influence decisions and relationships. Panic Disorders – a physical condition that causes a victim to experience sudden panic and a feeling of a loss of control. Panic disorder is diagnosed after repetitious occurrences of panic attacks that may cause difficulty breathing, chest pains, nausea, numbness, and heart palpitations. Panic disorders present with real physical symptoms, some of which may be severe. 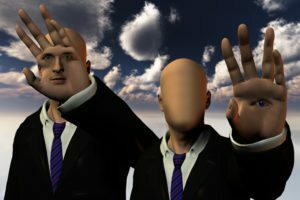 An episode of psychosis occurs when a person has a break from reality and often involves strange thinking, feelings, perceptions, and unusual behavior. Psychosis can develop for many reasons, such as genetics, drug abuse, severe depression, bipolar or anxiety disorders, or schizophrenia. Psychosis is more common in adults. However, young adults may experience an episode of psychosis due to hormonal changes in the brain occurring in puberty. Children may experience visual and auditory hallucinations, although this is more likely due to their imagination, immature cognitive development, anxiety, or depression rather than a serious psychotic episode. In most of these cases, psychotic symptoms resolve. A more serious illness of chronic and persistent psychosis is schizophrenia, which is very rare in children. Approximately 3 in 100 people will experience an episode of psychosis during their lives, but with early intervention and proper treatment, positive outcomes can be achieved. Did you know… that obsessive compulsive disorder affects 1 in 100 U.S. adults each year? Of those, the National Institute of Mental Health reports that approximately 50 percent suffer from a severe form of the disorder. 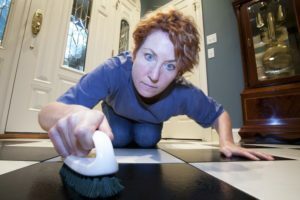 Although OCD can affect anyone at nearly any age, it is most prevalent among adults between the ages of 18 and 44. The average age for the onset of OCD is 19.